CONTRARY TO their name, colourful Christmas tree worms (Spirobranchus) decorate communities of coral reefs all year round. And their value goes far beyond their good looks. 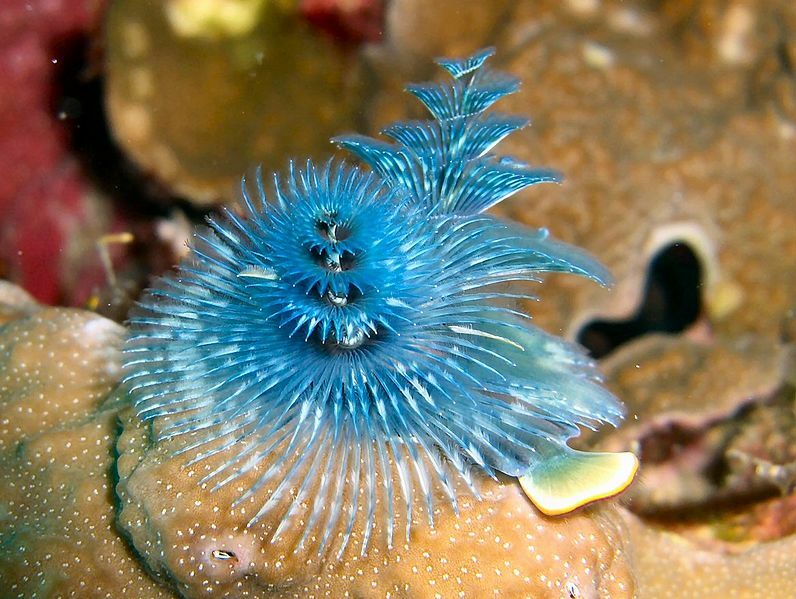 According to Elena Kupriyanova, a senior research scientist at the Australian Museum who’s studied marine worms for over 20 years, these colourful creatures are first and foremost, protectors. Much like the complex tree-root systems of a large forest, colonies of Christmas tree worms create a calcium carbonate tube that penetrates the corals they inhabit where they can live for up to 40 years, depending on animal size and reef health. „They’ve been observed protecting their coral hosts from crown of thorns starfish by pushing away the predator’s tube feet, leaving living corallites intact around the worm’s tube orifice,” Elena told Australian Geographic. Not only do these worms take their role as protector seriously, but they’re also quite modest about their appearance. „One needs a lot of patience and good buoyancy skills to photograph them under water. They are very shy models and withdraw their brachia into their tubes very quickly and come out again very reluctantly,” Elena says, adding that it makes it difficult for her to obtain specimens for her research.